TEPCO’s most recent update on the decommissioning work at Fukushima Daiichi included an update on the movement and storage of the spent fuel on site. Currently dry cask storage, the more stable form of long term storage only has space for 50 spent fuel casks. Those 50 cask slots can hold a total of 2930 fuel assemblies. There are currently 13137 spent and unused fuel assemblies on site that require removal to long term storage. 10207 fuel assemblies remain in need of a long term storage location. Currently the cask storage has 33 of the 50 cask slots occupied, this leaves space for 17 more casks. 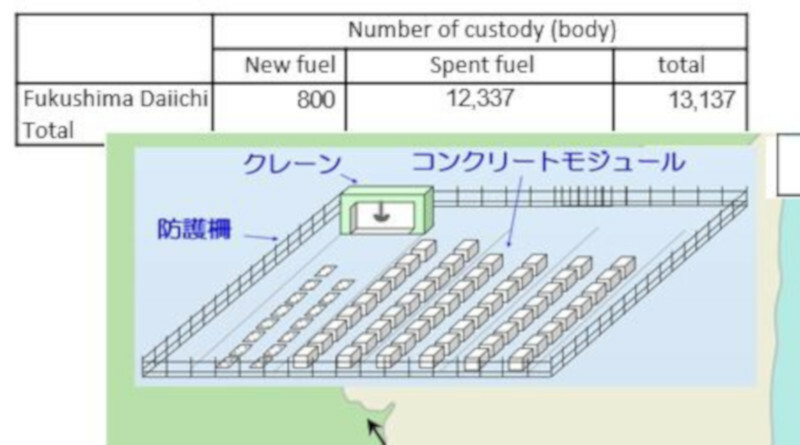 TEPCO’s documentation appears to claim that roughly 58 fuel assemblies can be placed into each storage cask. This would indicate that 227 casks and storage locations will be needed to handle all of the on site fuel assemblies. This does not include storage of any melted fuel debris from the damaged reactors. TEPCO has not provided any specific plan for adding additional spent fuel storage on site beyond the current 50 cask storage unit. The common pool on site has been used as a way point for spent fuel before being sent to dry cask storage. It is currently at 93.9% of capacity. 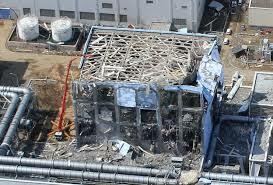 Some of unit 4’s spent fuel was sent to unit 6’s spent fuel pool for storage due to space constraints. Currently unit 4 is the only reactor to have the spent fuel stored there removed to a safer location. Unit 3 is the next to begin offloading spent fuel. It has 566 assemblies, 148 more than the available room in the common pool. Dry storage has enough space to accept a few more casks from the common pool. Once unit 3 is offloaded, storage will be tight. They could potentially move enough spent fuel to dry cask storage to empty unit 1. They will not have enough space to offload unit 2 unless more storage is created. 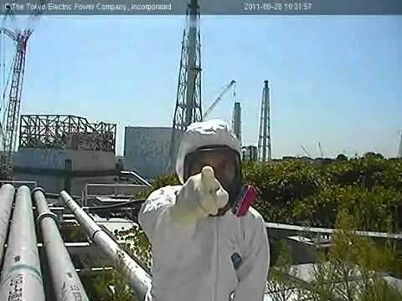 TEPCO’s documentation includes fuel assemblies that were in the reactor of units 5 and 6. At the time of the disaster both units were offline undergoing various maintenance and tests. That fuel remains intact and can be removed to long term storage. Dry cask storage can be used for long term storage but this is not a permanent solution. Most dry casks have a life span of 20 years before the cask gaskets are no longer considered viable. This requires fuel to be moved to permanent storage or the fuel would need to be transferred to a new cask. A fuel transfer can only take place in a spent fuel pool or similar facility to provide the needed shielding and radiation control for the work. Japan currently has no permanent nuclear repository.